It seems like everything is equipped with Bluetooth these days, we use Bluetooth in cars, and throughout the home. The popularity of Bluetooth has now reached the two-way radio world. Bluetooth allows you to wirelessly attach two-way radios with compatible accessories, for instance a headset or microphone, plus so much more. 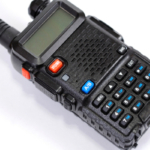 While two-way radios with Bluetooth tend to come with a higher price tag, it is highly valuable in certain industries. In the future wires will become a thing of the past, but for now wires remain a part of everyday life. Bluetooth two-way radios are the way to go if you don’t want to deal with wires getting in the way. Bluetooth technology relies on radio waves to function. The band is set at 2.4GHz, a frequency that is available at no charge. 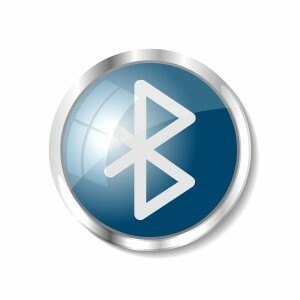 Bluetooth technology allows two devices to seamlessly connect to one another using “Centrino” chips, which can be inserted into almost all standard electronic devices. Bluetooth has a wide assortment of benefits such as no wires are needed, allowing for seamless and fuss-free communication. Also, since Bluetooth synchs automatically it creates less of a distraction and reduces the risk for injury and accident. You don’t have to remain tied to a landline, or even your two-way radio. With Bluetooth you can enjoy much greater activity level and range of motion while still maintaining direct access to communication. Do You Need Bluetooth For Two-Way Radios? 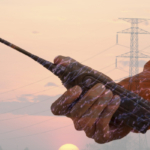 Bluetooth capabilities naturally increase the cost of a particular two-way radio. Obviously, you only want to invest in this feature if it is going to pay off to do so. There are very few industries that do not benefit from using a Bluetooth compatible radio system. Bluetooth is highly recommended for first responders, or those providing speedy services that rely on swift communication to get the job done right. Bluetooth is also great for employees that typically have their hands preoccupied throughout the day, say for instance construction workers or fleet drivers. Your team will greatly benefit from hands-free access to a two-way radio. Team members need to be discreet about communicating. It’s much harder to hide radio communication when you are covered in wires. Employees need to move quickly and can’t afford to be held back by invasive equipment. 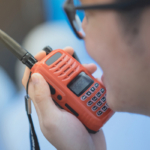 Less than half of all two-way radios offer Bluetooth connectivity, which often comes as a surprise considering how popular the use of Bluetooth is in everyday life. Before you hit the panic button, there is a good selection of radio models that offer Bluetooth, and so much more. 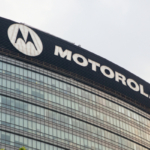 Motorola offers a couple great two-way radios with Bluetooth that are worth checking out. One of these models is Motorola’s XPR-7550. This two-way radio literally offers every last feature you could ever want. The XPR-7550 is packed with all of the goodies, including Bluetooth, GPS, a full color LCD display screen and more. This model is considered the perfect integration of a smart phone and a reliable radio. The rigid design of this model keeps it durable despite all of its fancy accessories. Another Motorola option with Bluetooth capabilities is the XPR-6550. This model is similar to the 7550, but it does not have the same large LCD display screen. The screen on this phone is smaller and less luxurious, although the versatile and durable design of the radio is highly coveted. Not only does the XPR-6550 offer Bluetooth, but it also offers GPS capability and IMPRES battery technology for extended use. There are a number of different wireless accessories available for both Motorola and Kenwood radios. In fact, a two-way radio with Bluetooth opens up a lot more options in terms of accessorizing. It is easy to pair and use any of these accessories without invasive and annoying wires that really get in the way at a busy job site. Wireless microphones that pair with Bluetooth devices allow you to easily magnify your voice and send a message across channels. Wireless headsets are equally convenient as they allow you and members of your team to move about freely while communicating hands-free. Contact Highland Wireless today to learn more about which two-way radios with Bluetooth work best for you.